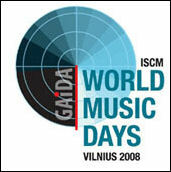 held from 24 October to 7 November 2008, together with Lithuania’s 18th Gaida Festival of contemporary music. These World Music Days will be the first such event in this region of Europe and will be a fitting prelude to Vilnius - European Capital of Culture in 2009. Last September the Lithuanian Composers Union preselected 110 works from various countries and at the end of October an international jury of composers made the final selection for World Music Days of 37 works from 26 countries, including Australia. 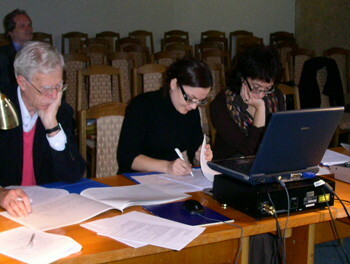 The international composers’ jury consisted of Peter Eötvös (Hungary), Jonathan Harvey (Great Britain), Luca Francesconi (Italy), Onutė Narbutaitė (Lithuania) and Helen Tulve (Estonia). Among the many works for the WMD Festival there will the European premiere of Eötvös’ opera "Of Love and Other Demons" in collaboration with the Lithuanian Opera and Ballet Theatre and Britain’s Glynbourne Opera Festival.